I started translating from Japanese to English in 1992, and went freelance in 1996. Since then I have continued to work for clients in Japan, the US and the UK. 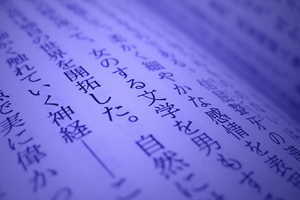 I specialize in technical translations, especially research papers and patents, but I am also able to do Japanese typesetting, website localization, and software localization. Please note that as a native English-speaker I do not normally take on translations into Japanese except for small jobs like business cards. For larger translations, I may be able to arrange something with other (native Japanese) translators. I have a degree in engineering from Cambridge University (specializing in electronics), and an enthusiastic interest in most scientific fields. Although I specialize in patents and research papers, I will consider other translations including family registers (koseki tohon), marriage certificates, POW records and vehicle registration documents. I offer free quotations for jobs of all sizes. Please note that I may ask you to provide a signed order form before I can start work on your project. Please get in touch via my Contact Page to discuss your requirements. This is the format preferred by most clients. If necessary, sensitive material can be encrypted with a prearranged password. I normally send these by email as a compressed attachment. I would recommend this format if you do not intend to make any alterations to the translated text. Obviously this is much slower. If you need your translation on disk, I can include it on a CD-ROM with the hard copy. If you’re not too bothered about getting perfect results, give machine translation a try. It doesn’t cost anything, and can be a useful way of getting the gist of a document without paying for a proper translation.